Explore how you can embrace exciting technology practices to drive new value in your organization. Consultants, engineers and certified technicians help organizations perform to their highest potential. Marketers, digital strategists, and designers help organizations create and grow sustainable online businesses. Digital strategists, content strategists, UX designers, and developers help organizations build successful web platforms. Trusted by leaders in business. We work really hard to hire happy people and keep them that way. 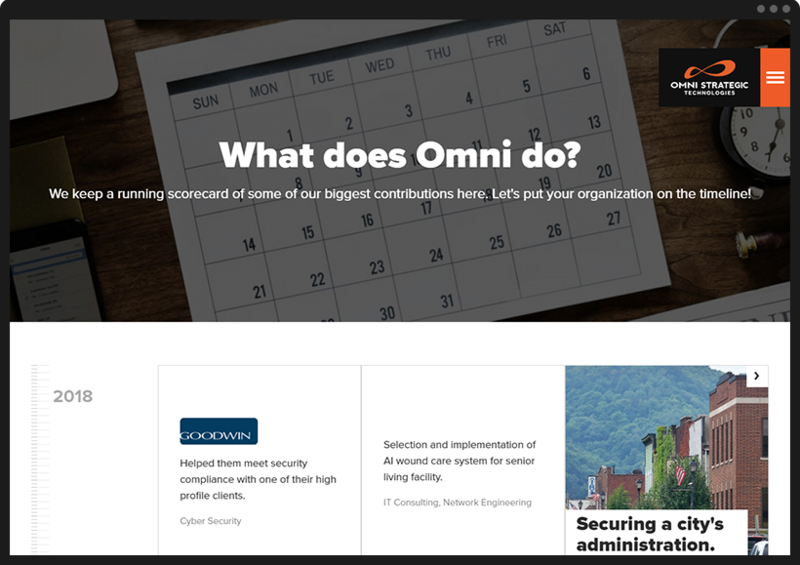 You'll find trustworthy, personable, and capable experts at Omni.